This month I got the opportunity to pick the theme, and for obvious reasons I chose an Italian theme. 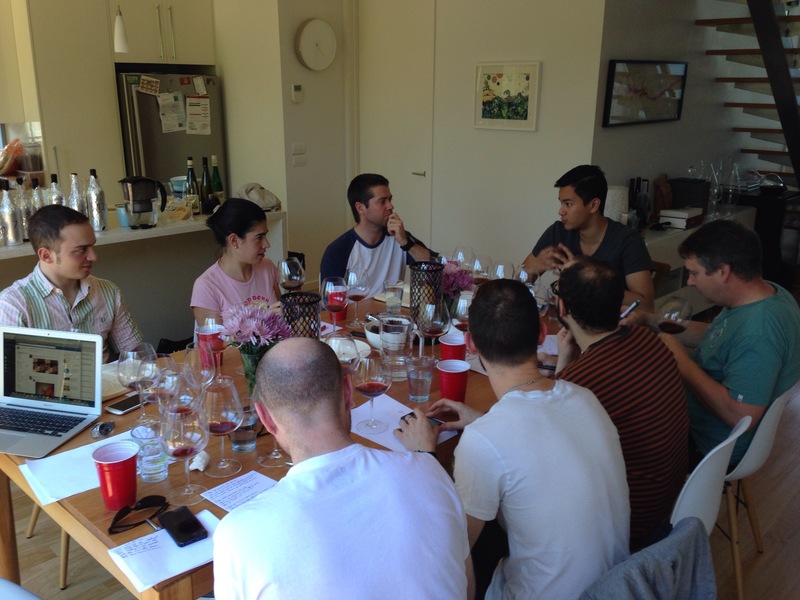 Considering many of the members of the Bentleigh Tasting Group are very experienced sommeliers, some of which are studying either WEST or Court of Master Sommelier courses, I thought the most beneficial topic would be nebbiolo from Piedmont. Considering how revered wines from this variety and region are, and the complicated nature of the DOC and DOCG systems, it would be interesting to look at how vintage, producer and site variations effect the wines. Nebbiolo in Piedmont is the most revered yet misunderstood grape. It is one of the earliest to bud in Spring yet one of the latest to ripen in Autumn. It only likes specific types of soils, prefers hillsides instead of flatlands, and is at its best grown between 150m and 400m. Wines are further complicated with a Russian-doll like classification system, starting from DOC Langhe status all the way down to several DOCG levels. An interesting thing to note is that wines that are within Barolo vineyards can be ‘de-classified’ to Langhe Nebbiolo status. The tasting included wines from some of the best known DOC and DOCG classifications, and are from some of the absolute top producers. Here are my notes from the wines, along with what I thought they were. Very bright intense and dusty, exceptionally aromatic, very very dusty cocoa, a little hot on the nose, very earthy, dried raspberry. Very persistent and tight, focused, fresh and lovely generosity, a lovely drinking wine, slight toastiness from the oak. Tighter leaner more focused oaky alcohol, tomato seeds, denser earthy new-world. Much bolder softer and more generous except leaner and bold. More rubbery polished texture, more concentrated tannin and oak. A slight dirty sweatiness on the end. Crushed elderberries, small pink flowers, slightly prettier. Sweeter texture and fruit profile, warmer, fresher brighter raspberry red cherries, warmer broader and more bombastic. Very bright pretty but with persistent tannins and acidity. A very faint hazelnut character right on the end. Very dark very intense black fruits, much more generous and fruit driven, plenty of oak. Quite overworked very ripe youthful and exuberant tannins. Sweet jubey dark fruits, quite polished lifted alcohol, some newer oak. Bolder broader more generous soft tannins, full and deep, medium length, tight bright slightly sharp savoury tomato tannins. Denser tighter earthier more rustic aromatics. Dense full intense bold ripe tannins, warming alcohol well integrated, slightly sweet tobacco and caramel style. Quite ripe and alcoholic. Chewy rubbery older wine, rose petal, dried cherry. Soft sweet round tannins, plush velvety texture, generosity and persistence, very fine and elegant but quite intense. A lot more closed, tight dense, dark fruits but very slightly tarry dusty sweet chocolate. Very hot intense, quite forward on the palate and not a lot of extension, a little hollow in the middle, quite pronounced acids. A little wild and almost natural, showing a lot of oxidative notes, earthier spicier. Lighter yet firmer, very crisp persistent, a lot of savoury and sweet components mashing together, amazing length. A truly beautiful wine. Pretty old and stinky, sweaty wild old style, pretty volatile and bretty. Not too bad on the palate to be fair, quite soft subtle silky and also juicy at the same time. Pretty old-school style, very dried out. Dense earthy dusty stalky, dried cherry raspberry. Lovely and fresh in comparison to the previous wine, juicy generous and lively, persistent and long. A little shy but showing really well. Dried nuts and spice, herbs and vanilla beans, earthy dried fruits, christmas cake. Very acidic, quite intense, very youthful, very heady in it’s alcohol, viscous and sweet texture, concentrated but very fresh, long and persistent otherwise.